Calling all pizza lovers, Knead Pizza is THE place in Plymouth to eat pizza! Using authentic, freshly prepared sour dough bases, (gluten free option available), hand stretched and cooked onsite in the Market in their own oven, Knead has perfected the art of creating pizzas with attitude! 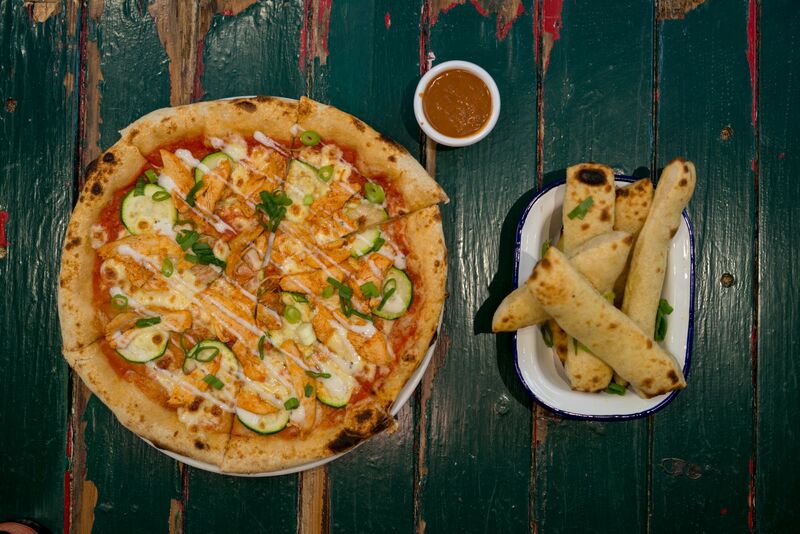 Pizza by the slice or whole, with a changing range of toppings including vegan options as well as garlic bread, craft beers and excellent coffee – what are you waiting for? You can even order a Knead Pizza through Deliveroo. And don’t forget 2 for £10 Mondays!